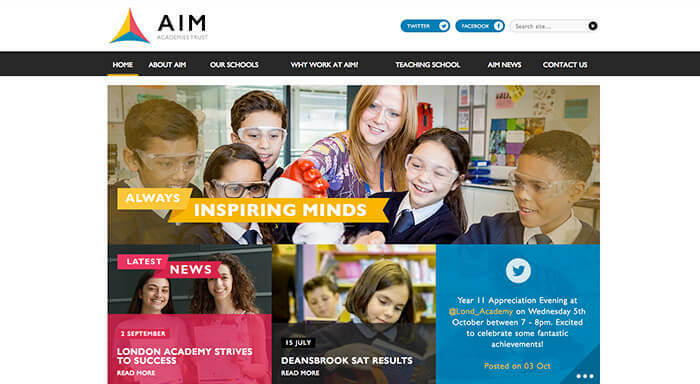 Beautiful school website design for primary schools and secondary schools. 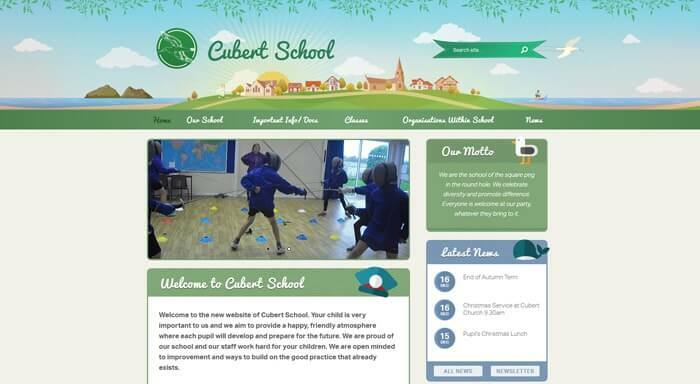 We design bespoke websites just for you or have a range of great value pre-designed school website templates. Please call us on 0800 955 3999 to learn how we can help. 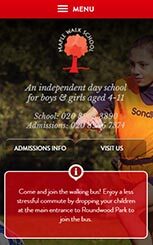 We design beautiful websites for schools which are easy to update, fully supported and offer great value. No wonder schools say such nice things about us! 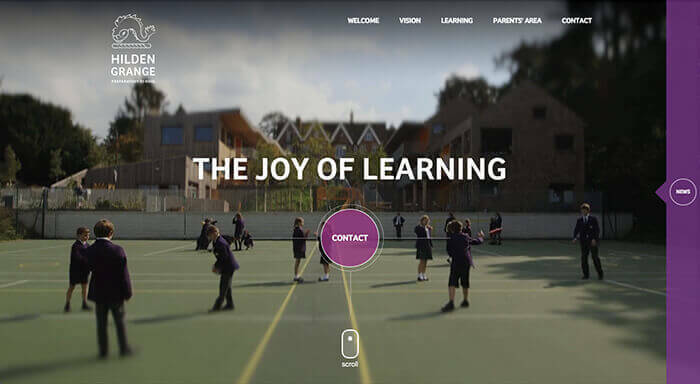 Why not take a look at our portfolio for a little inspiration? 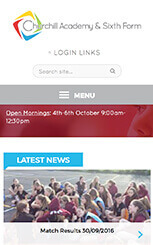 So we built an easy to use Content Management System (CMS) just for schools. 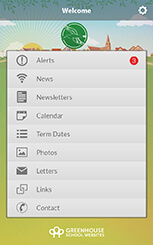 And every year since 2007 we've been listening to your suggestions to improve its features so you can save time and money. 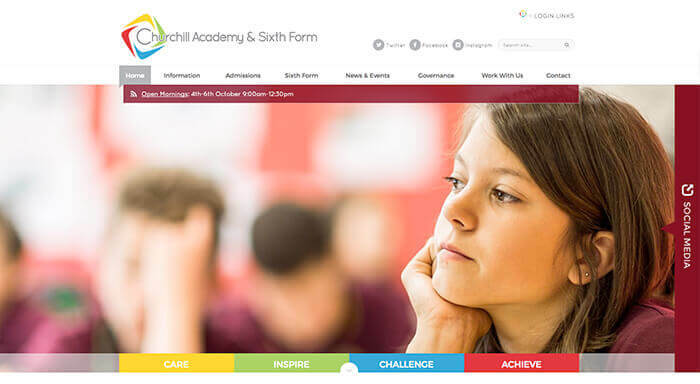 We combined the power of the CMS with beautiful, bespoke and pre-designed school website designs. 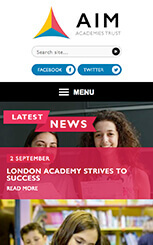 Finally, we wrapped it all in reassuringly excellent support; we’re always available by email or phone to help answer any questions you might have. No queues or ticketing systems, we just help you when you need us.